One Friday night when I went to cover a high school football game I saw something at the concession stand that I have never seen before. A Fall festival favorite were being fried up! 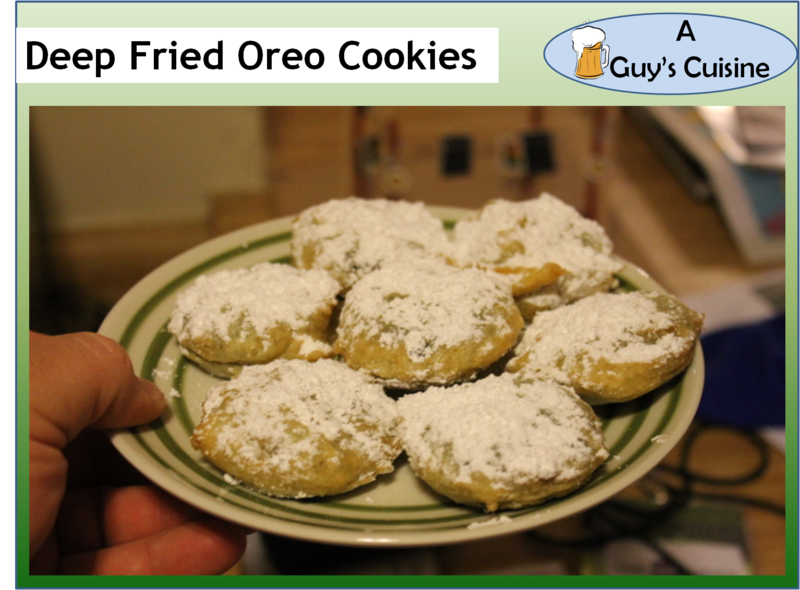 Deep fried Oreo cookies are a popular treat during fairs and festivals. But this was the first time I saw them at a high school football game. So I decided to make these treats at my apartment. And it’s not very hard to do! Here’s what you need! 1. 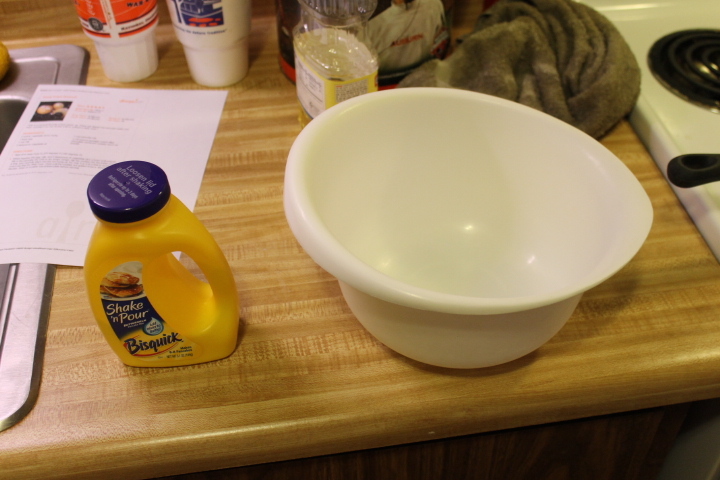 Follow the directions on the Bisquick Shake & Pour container. After shaking the contents together pour the batter into a bowl. 2. 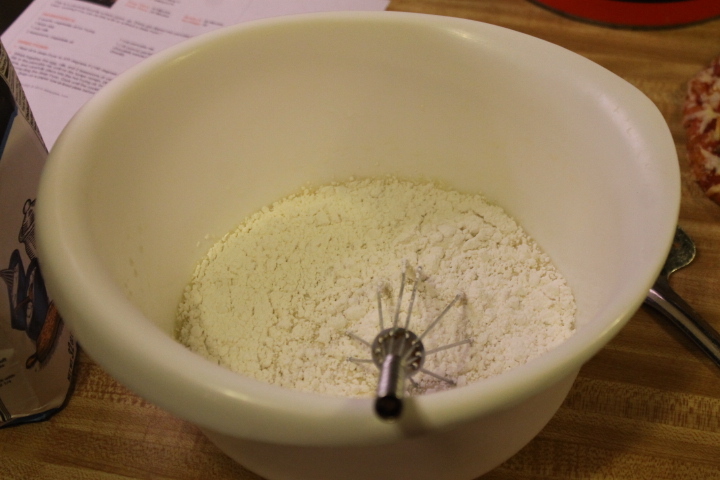 Add flour, egg, milk, and 2 tablespoons of oil into batter and mix well! 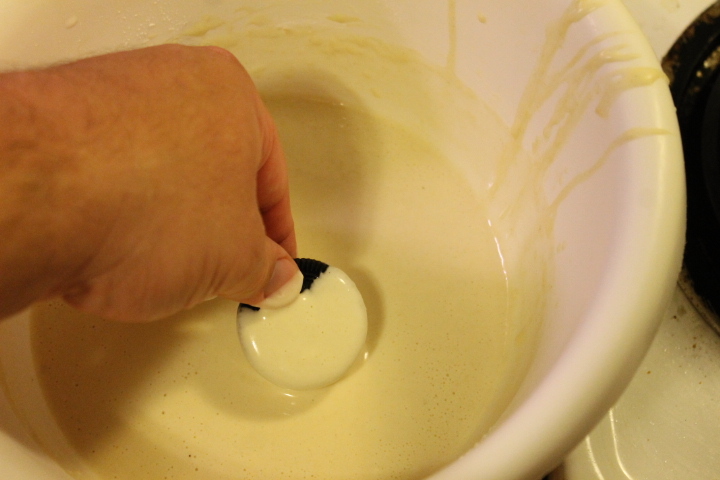 Batter should be thick to coat the cookies. You might have to add more flour to make the batter thick. 3. After heating a pot of hot oil. Dip two cookies at a time in the batter and coat well. Then dip the batter coated cookies into the hot oil. The cookies only need a minute or two to fry. Take out of the oil when the cookies are golden brown. Place onto paper towels. 4. 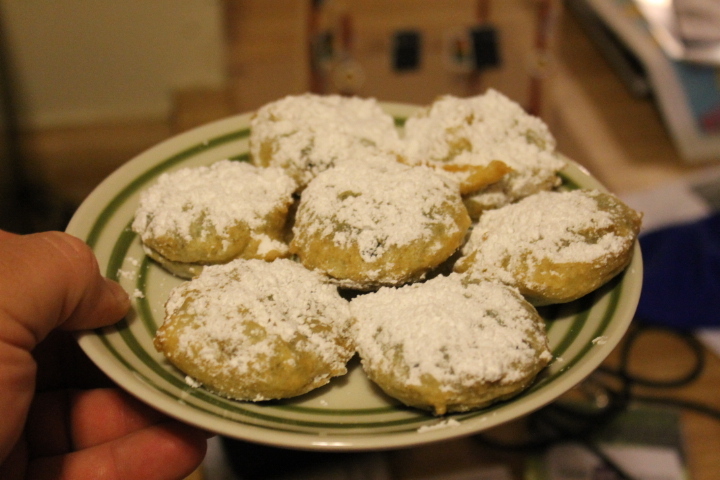 Place some granulated sugar on top of the cookies and then serve! Yes these were very good! 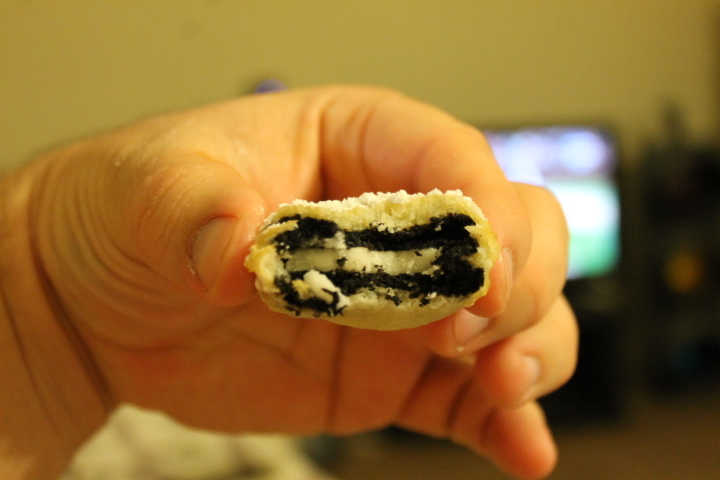 I used the double stuffed cookies which made these even better! But you can use any Oreo cookie you want! Enjoy making them!